If you’re deciding what kind of above ground storage tank (AST) to purchase, though you have to consider size and location, you need to first determine what material it’s constructed from. Polyethylene and concrete tanks are great, but the best option available remains stainless steel. Stainless steel storage tanks are durable, cost-efficient, and have so many additional benefits. 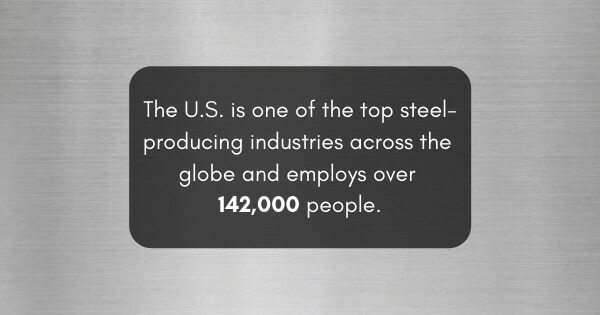 The U.S. is one of the top steel-producing industries across the globe and employs over 142,000 people. Steel has been an effective way to store and transport water for over 150 years. Durability — Concrete water tanks are easily cracked, resulting in leaks. Stainless steel tanks, on the other hand, are leak-free. Since a single tiny crack can ruin the integrity of a tank’s structure, when storing water you need to make sure that leaks simply cannot form. Recyclability — Stainless steel is considered an environmentally friendly material since the production process utilizes natural resources and energy. New stainless steel items are comprised of roughly 60% to 70% of recycled material, which are biodegradable. And storage tanks made entirely of stainless steel are eco-friendly and 100% recyclable. Hygiene — Not only are stainless steel water tanks easy to clean, but they are also much more hygienic than tanks constructed of other materials. If a tank is keeping water, food, or any other product inside, it’s imperative to ensure the hygiene and purity at all times. Customization — Despite its durability, stainless steel can be bent, rolled, and shaped to fit all kinds of customized needs. Additionally, tanks can be designed in a wide variety of diameters, lengths, and heights, which offers flexibility for many industries with unique storage requirements. Longevity — Stainless steel chemical tanks can maintain their shape and properties over an extended period of time, as well as over a wide range of temperatures, especially at extremely cold temperatures. Also, this material is less affected by UV light, which can significantly damage chemical storage tanks made of other materials. If you want to learn more about the benefits of stainless steel storage tanks or purchase quality chemical holding tanks, give Central Fabricators a call today. Next Next post: What Is Stainless Steel And Why Is It So Common?